Plan carefully: If you choose to eat something unhealthy, plan for it. Save calories to make room for what you crave, or add extra time to your workout. Watch portions: Choose small portions of calorie-laden foods and large portions of healthy choices such as vegetables and broth-based soups. Improve your exercise and eating habits: People have a hard time incorporating changes they know they need to make. Find the inspiration that motivates you to improve your health. 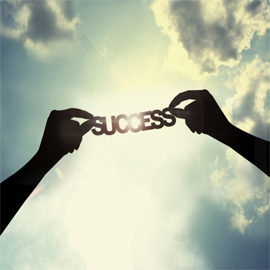 Believe you can succeed: Set yourself up for success with a positive attitude and seek support from friends and family. Celebrate your achievements: As you lose weight, reflect on how good you feel. Keep an old photo nearby to see how much you have changed. Keep track of exercise and food intake: Keeping a journal throughout your efforts to lose weight is one of the most effective weight loss tools available. Observe how good you feel at a healthier weight: As you lose weight, you usually sleep better, have more energy and have improved health. Remind yourself during difficult moments how good it feels to be thinner. Focus on fitness: Build physical activity into your daily routine to relieve stress and lose weight. Even 10-minute breaks spread throughout the day make an impact. Allow yourself treats: Let yourself have small treats to alleviate cravings. Savor each bite and resist eating more. Do regular weigh-ins: Keep track of your weight to prevent gains. If you see the number edging upwards, make immediate changes to prevent significant weight gains.